Ai-Kon » Guests? We have 2 more! We already have so many guests, what’s two more? Get excited for the biggest guest roster Ai-Kon has ever had! Mike got his start in anime as one of the first voice actors in Texas to be hired by FUNimation Entertainment, and has since moved on to become a Director, Script Writer, and Line Producer for numerous anime series. Notable roles include Master Roshi and Yajirobe in Dragon Ball and Dragon Ball Z, Baby and Baby-Vegeta in Dragon Ball GT, Jean Kirstein in Attack on Titan, Goemon in Lupin The Third (Movie Specials), Ritsu Sohma in Fruits Basket, Lt. Jean Havoc in Fullmetal Alchemist, Cain in Trinity Blood, Buggy the Clown in One Piece, Amon in Tokyo Ghoul, “Ranka” Fujioka in Ouran High School Host Club, Tybalt in Romeo x Juliet, Leo in Burst Angel, Estonia in Hetalia, as well as various roles in Yu Yu Hakusho, Nerima Daikon Brothers, Kodocha, Desert Punk, Black Cat, Kiddy Grade, Shin Chan, Space Dandy, and many others. As an ADR/Voice Director, Mike has worked on such series and films as Fullmetal Alchemist, Fullmetal Alchemist: Brotherhood, Dragon Ball Z, Attack on Titan, Vexille, Wolf Children, Summer Wars, Wolf Children, Gunslinger Girl: Il Teatrino, Yu Yu Hakusho, Mushi-Shi, Case Closed, Dragon Ball, Eden of the East, Trinity Blood, Evangelion: 1.11, 2.22, and 3.33, One Piece, Tokyo Ghoul, Blood Blockade Battlefront, and many more. ADR Scriptwriting credits include Fullmetal Alchemist, Kodocha, Trinity Blood, Solty Rei, Mushi-Shi, One Piece, and the uncut versions of Dragon Ball Z. Video Game credits include work on Borderlands 2, Tales of Xillia 2, Smite, The Walking Dead: Survival Instinct, Halo Wars, Stuntman: Ignition, Aeon Flux, Bloodrayne 2, Roadkill, Comic Jumper: The Adventures of Captain Smiley, numerous Dragon Ball Z titles, as well as the role of Paul Phoenix in Street Fighter X Tekken. 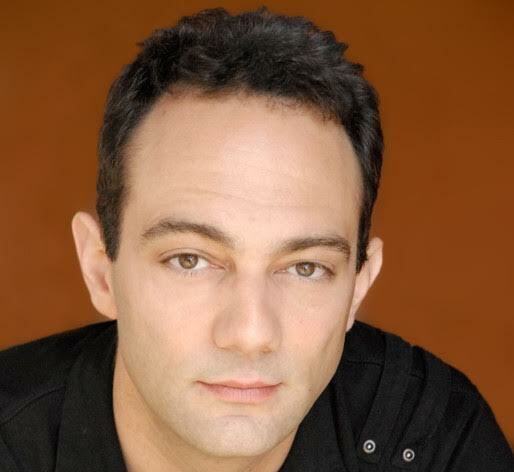 Mike is also an accomplished improv comedian, musician, and has appeared in numerous commercials and independent films, including The Rage Within, House Of The Generals, Placebo, and the award-winning Shtickmen. For more information, check out his web site at www.mikemcfarland.com, “like” his fan page on Facebook Mike McFarland , or follow him on Twitter @MikeMcFarlandVA. Returning for his 9th year to Ai-Kon, the wonderful Greg Ayres! Greg Ayres has spent the last fifteen years working in an industry he had admired for years as a fan. With over 200 credits to his name, this fan-boy has managed to get to play a variety of characters that are almost as colorful as his hair. He’s thrilled to splash his way into 2015 in the role of Nagisa Haruki in Free Eternal Summer, and equally as excited to make “killer” appearances as MonoKuma in Danganronpa, and Doug in Gangsta. He was thrilled to be a part of the Toonami re-launch, in the roles of Ganta Igarashi in Deadman Wonderland, and Heihachi Hayashida in Samurai 7, and even more thrill to follow that up with the following summer’s thriller Another as Kouichi Sakakibara. His most recent roles include Clear in Dramatical Murder, Satoru Asahina in From the New World, Kenji Nakanishi in Say I Love You, Sion in No. 6, Heisuke Toudou in Hakuoki, Tommyrod in Toriko, Arikawa in This Boy Can Fight Aliens, Tomoki Sakurai, in Heaven’s Lost Property, and Volken, in the Book of Bantorra. Some of his all-time favorite roles include Son Goku in Saiyuki, Chrono in Chrono Crusade, Kaoru Hitachiin in Ouran High School Host Club, Youhei Sunohara in Clannad, Yuki in The Wallflower, Leo in Ghost Stories, Satoshi Hiwatari in DNAngel, Kaworu Nagisa in the Director’s Cut of Neon Genesis Evangelion, and Negi Springfield in Negima. He can also be heard as Uesugi Kenshin in Sengoku Basara, Seikechi Tayama in Oh Edo Rocket, Hiro Hirono in ef: A Tale of Memories, Abe in Big Windup, Jr. in Xenosaga: The Animation, Tsujido in Speed Grapher, Roan in Ragnorok The Animation, Yamazaki in Welcome to the NHK, Gau Ban in Shadow Skill, Pope Alessandro XVIII in Trinity Blood, and a bunch of other titles he’ll probably forget to mention. When he’s not in a booth with headphones on, you can usually find him sporting headphones behind “the decks”at many a music event. A veteran nightclub DJ of many years, he jumped at the opportunity to play music and organize late night dances at many of the conventions he attends. He currently runs and organizes the dance and music tracks at several US conventions. Greg is also a member of Project BECK, who perform music from the anime Beck Mongolian Chop Squad. He’s had blast reliving the music from the show with his friends, as well as getting to open for Back On at this last year’s Otakon Matsuri. Always thrilled share his love of music with anyone willing to listen – from packed rooms at anime conventions, to the legendary stage of The Knitting Factory (NYC), Greg is always ready to make a some noise.